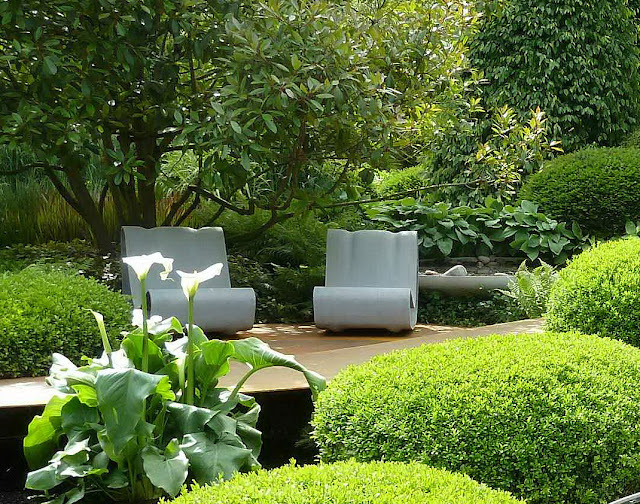 Modern Landscape Design Ideas - Patio/Garden Design Chairs - Take a closer look at this magnificent layout of a garden design featuring these modern outdoor lounge chairs: Modern Garden Chairs in Concrete - Grey; fiber-cement modern outdoor landscape lounge chairs for modern and contemporary garden & landscape designs. Looking for a good landscape design idea? Few outdoor furniture pieces have more visually striking design appeal than our classic mid century modern Willy Guhl Loop Chair. This beautiful outdoor chair lends itself perfectly for a variety of applications including small inner city courtyard gardens, patio gardens, container gardens, small garden designs or larger landscape projects. 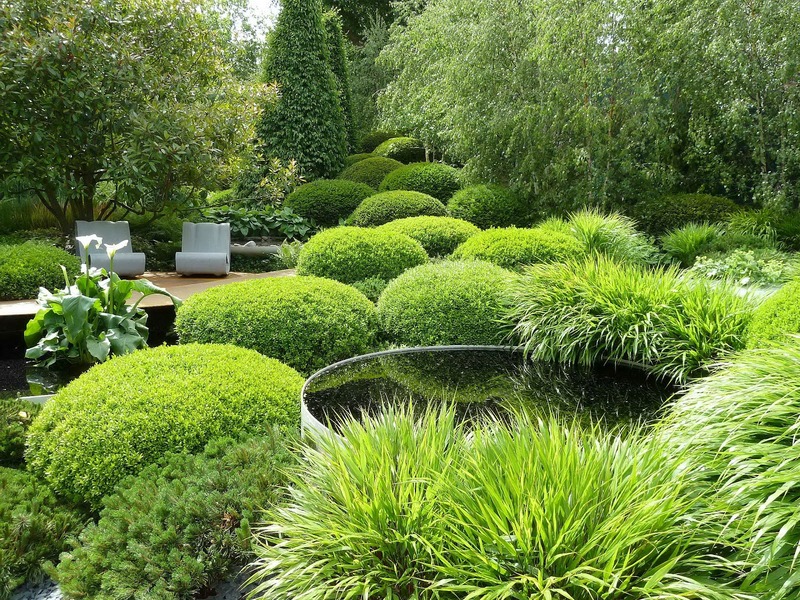 Perfect for use at an upscale private residence or a luxury spa resort hotel. 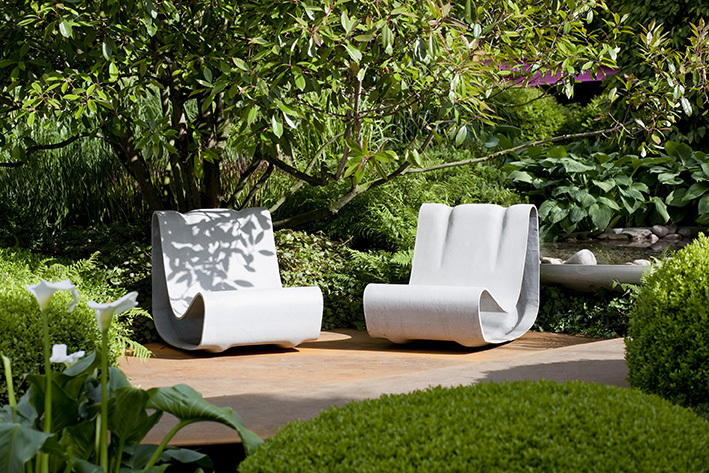 The mid century modern outdoor chair was designed in Switzerland and is an icon of modern design. This stylish outdoor chair is often seen along the Swiss lakes such as Lake Geneva, Lake Constance, Lake Lugano and Lake Zurich. It is also found in resort hotels along the French and Italian Riviera. 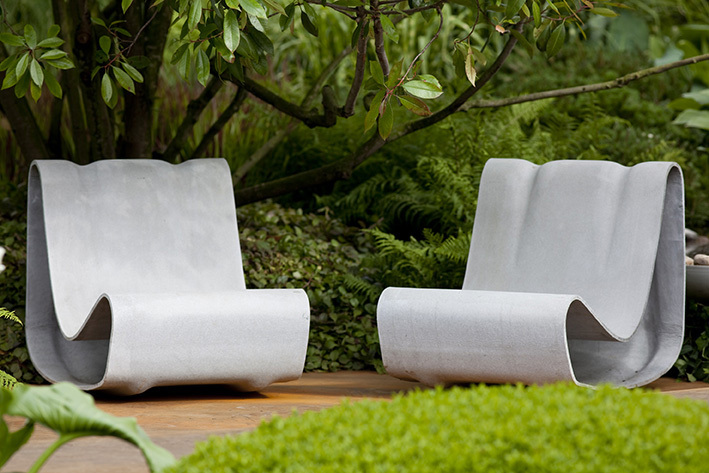 Recreate your own little garden resort with one of the most beautiful modern garden furniture design pieces of the 20th century. 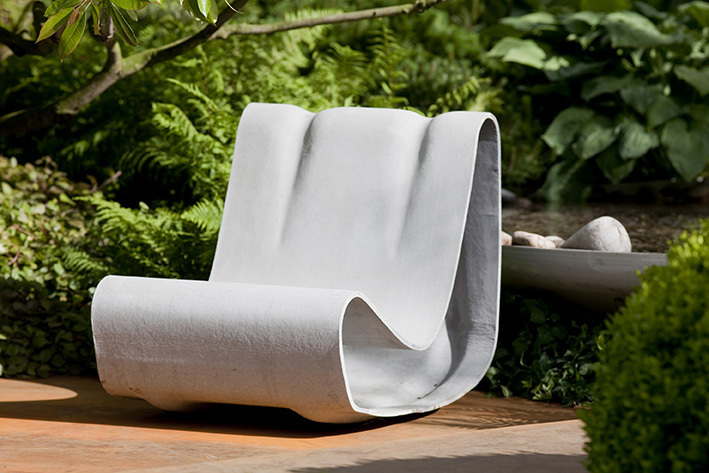 A beautiful addition to any patio, courtyard or garden. 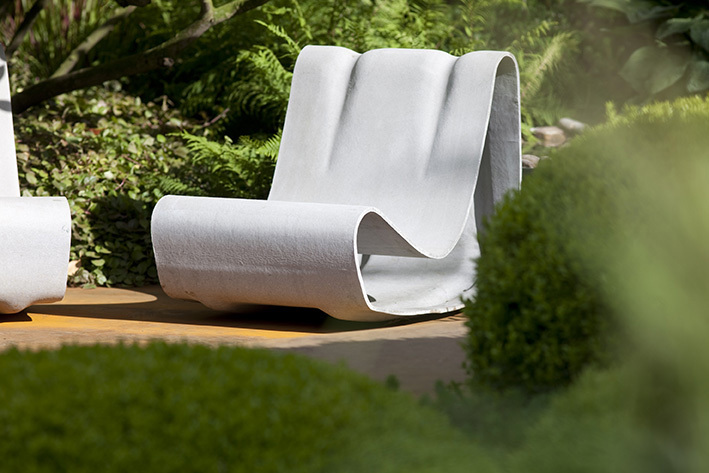 Our Willy Guhl Loop Chair is made by the authorized manufacturer in Switzerland. The Willy Guhl Loop Chair is made of natural fiber cement. Fiber cement ingredients are: cement, powdered limestone, cellulose and synthetic fibers, water and air. 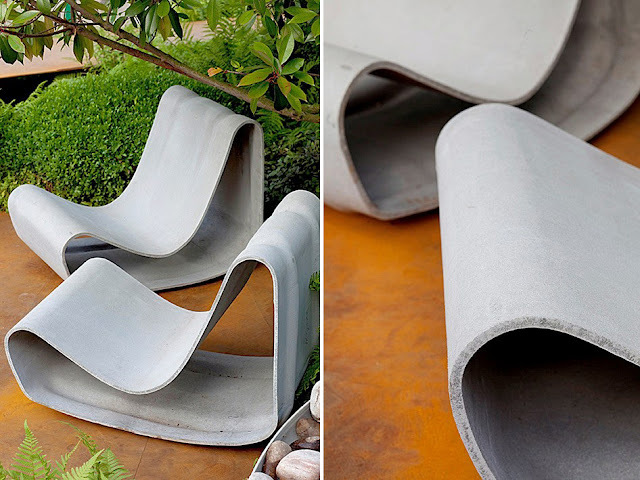 Because fiber is combined with cement you get all the benefits of a durable concrete outdoor chair without the weight. 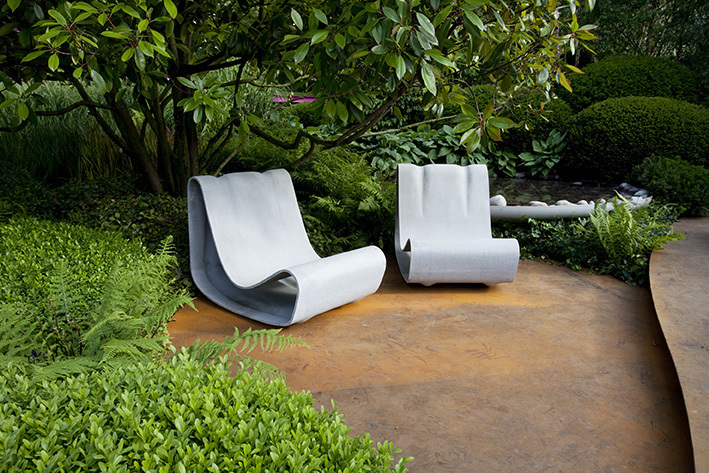 The Willy Guhl Loop Chair is designed for outdoor use, but looks great inside as well. 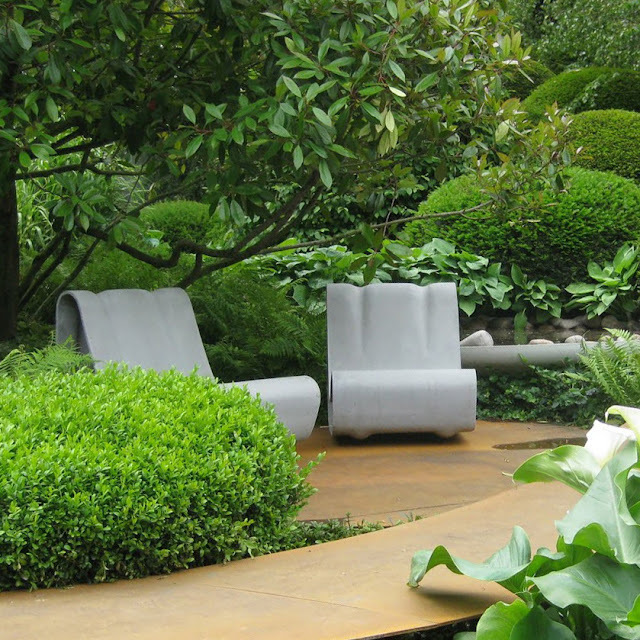 The concrete like material withstands weather and is frost proof when used properly (no standing water). It resists heat, rain, and snow while still being light and fireproof.